Blender is a platform independent open source 3d modeling software. It allows users to design and create 3d models, animations and even games. Blender's interface is optimized for 3d designing and it is mainly controlled and operated through hotkeys and menus. There is also an integrated game engine in Blender for making 3d games and interaction. 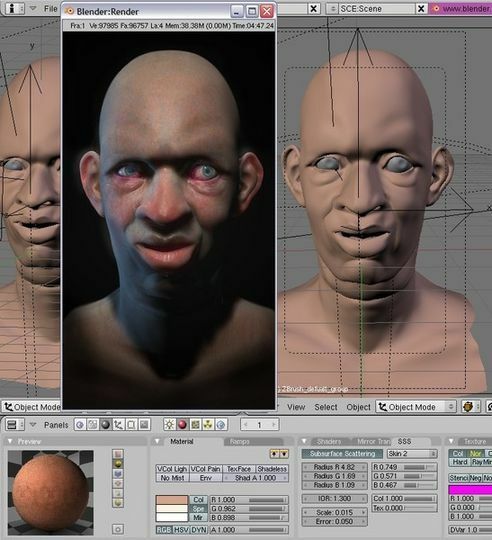 Although being an open source software, Blender is suitable for even professional modelling. A good example of its capabilities is the animation movie Big Buck Bunny. Blender itself is programmed with Python thus being available for Windows, OS X and Linux platforms. In order for Blender to work fully in OS X you must have Python installed as well. Blender also has a large community and provides tutorials and instructions, teaching rendering and animation, in several languages.